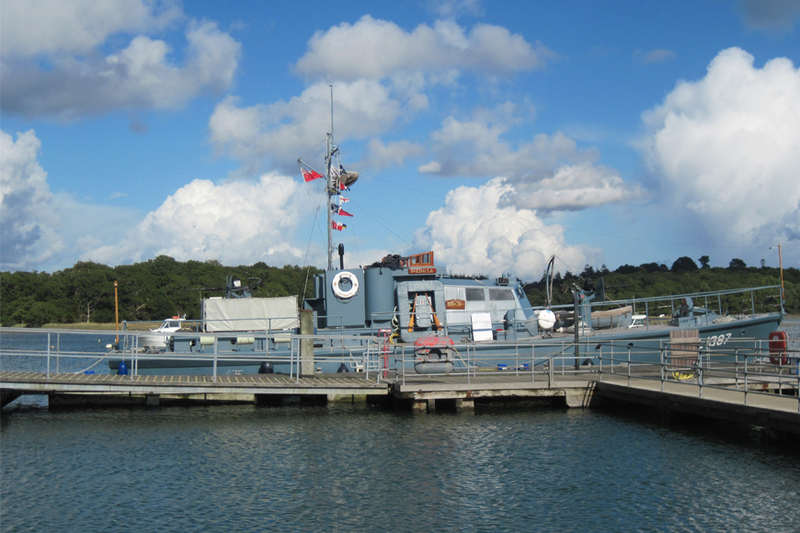 Buckler’s Hard visitors will be able to take tours on board HMS Medusa – which took a starring role in the recently released Dunkirk movie – while it is moored at the attraction on Friday September 29th and Saturday September 30th. The harbour defence motor launch can be spotted several times in the Dunkirk movie taking soldiers including One Direction’s Harry Styles out to a destroyer. The WWII film, which was released for the summer, has been hailed as one of the best new UK films and stars Kenneth Branagh in a story about suffering and survival in battle when 400,000 men were unable to get home. HMS Medusa was chosen for filming because of its role to help clear the way to Omaha Beach for D-Day. Its new-found celebrity and recent D-Day commemorations have also led to a trip to France this year and filming for a documentary on the History Channel. HMS Medusa was built in Poole in 1943 as one of 480 vessels to provide an offshore anti-submarine screen for harbours. The vessels were built for endurance rather than speed and were made entirely from wood and powered by diesel engines. The Medusa Trust is a registered charity which aims to preserve HMS Medusa ML1387 for future generations, aiming to stay at sea for as long as possible as a tribute to veterans and also to educate and inspire young people. 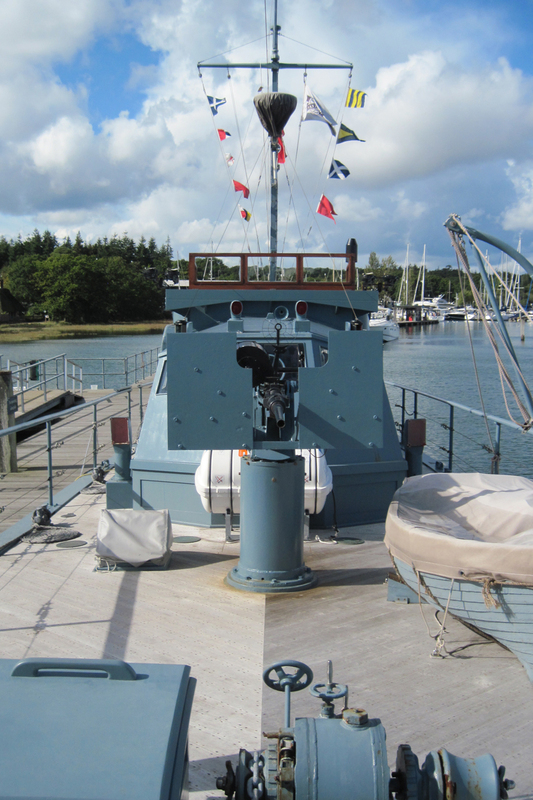 Visitors to Buckler’s Hard will be able to talk to crew on board and learn more about the vessel’s role in history and recent filming, while it is moored at the attraction on the Beaulieu River. 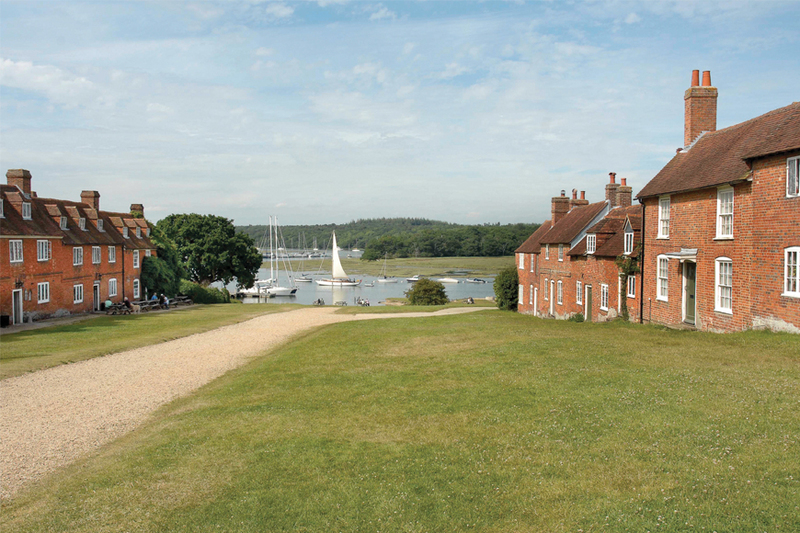 Entry to the attraction also includes admission to the Maritime Museum which tells the story of Buckler’s Hard, where ships for Nelson’s fleet at Trafalgar were built, and brings to life the characters who lived there during the 18th century. See historic displays in the labourers’ and shipwrights’ cottages and visit the Chapel of St Mary’s which was once at the heart of smuggling in the village. Take a River Cruise with a commentary about the abundant wildlife and features along the Beaulieu River. Amble through the Apple Orchard before relaxing for light refreshments at the Captain’s Cabin Tea Rooms. Visitors to Buckler’s Hard are welcome to go on board HMS Medusa at the times detailed below. Voluntary donations to The Medusa Trust will be gratefully received.